Summer is that period of the year when there is a lot of fresh produce. There are a lot of vegetables and fruits and therefore during this period one can eat healthy and fresh foods. Summer is not only encompassed with delicious foods but it is also the period when we have the sunshine at its best that makes our body to be dehydrated and also exposes us to healthy problems such as skin cancer and insomnia. Drinking water alone does not restore hydration and a healthy body. 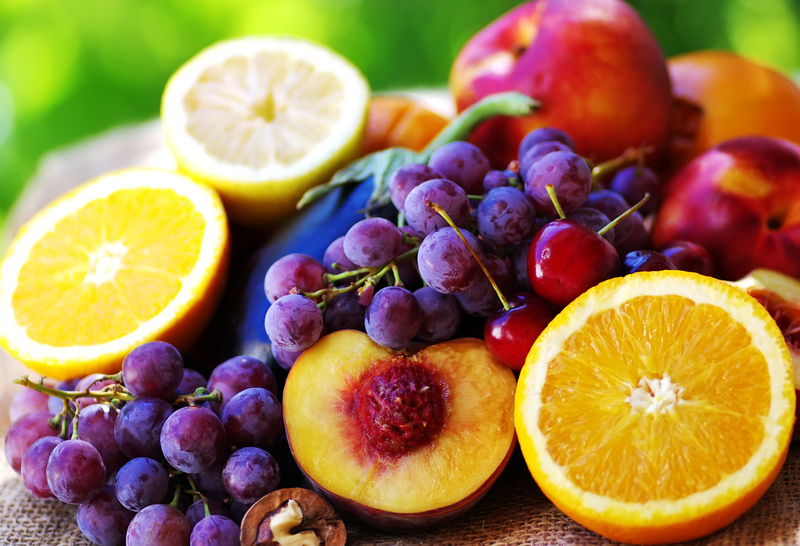 Fruits and vegetables are essential foods that must be eaten to maintain a healthy body. Therefore in this article we would look at seven popular foods you must add to your diet in summer. During summer, our body gets dehydrated due to excessive heat from the sun. We need to restore this water, as water is an essential component in the normal functioning of the body. Therefore the berries either blackberries, blueberries and strawberries are rich in both nutrients and also have excess water that restores the body water. This helps maintain the body water level and promoting stable body processes such as digestion, absorption, excretion and elimination of toxic wastes. Orange grapefruits are another selection you can choose during summer. It helps you maintain a healthy body weight and also contain enough water to restore excessive water lost during dehydration. Apart from containing so much water the grapefruits also contain phytochemicals that are important in the body by getting rid of free radicals that accumulate in the body during intensive work done in summer. They also ensure a proper circulation of blood in the body and, therefore, reduce chances of developing cancer and cardiovascular diseases. Since summer is a scorching season, we need foods that bring a cooling effect to the body. No other food would suffice that desire to get a cooling effect than cucumbers. Cucumber is naturally loaded with pure water that is naturally distilled, and this adequate water supply helps in cooling the body. Therefore, consumption of cucumbers during summer helps calm the body from the effect of the scorching sun. This may be surprising to you, but two compounds in corn have been characterized and found to act like natural sunglasses. The proteins, lutein and zeaxanthine, are antioxidants found in corn and studies have linked them to protection against the sun rays of the sun just like sunglasses. They do so through the formation of a macular pigment, which filters the damaging rays of the sun. The consumption of corn during summer thus protects the eye from these harmful rays of the sun. It is good to take iced coffee every morning during summer to avoid chances of developing xeroderma pigmentosa, a type of skin cancer that arises due to exposure to the sun rays. A study published in the European journal of cancer prevention on a research conducted of 93, 000 women reported that cases of cancer were minimal in those who took a cup of coffee every morning. Coffee, therefore, has a substance that helps reduce chances of mutations introduced into the dermal cells by sun rays. Some individuals have been reported to have cases of insomnia as a result of the heat during summer. Cherries contain melatonin, a sleep-inducing hormone that when consumed activates the urge to sleep. The consumption of cherries boosts the melatonin level in the body thus increasing the desire to sleep. Watermelon has 90% water, and this is the most efficient approach to curbing the summer heat. Watermelon not only hydrates the body, but it also protects the skin from oxidative stress, which contributes to the process of aging thus giving an appealing complexion. Watermelon also helps boost the immune system and, therefore, maintains a healthy body during summer. There is always need to eat healthy during summer and therefore apart from the foods mentioned above other foods such as bottle guards should also be consumed. It is rich in calcium, vitamins, magnesium and folate, which helps in retaining a healthy blood pressure and also maintain a healthy heart. It also helps purify the blood. It is also important to drink a lot of water during summer despite eating watery foods. The intake of dietary water should not be neglected as it helps boost the body water level and also enable transportation of key factors that play a role in metabolism and elimination of toxic substances from the body. Ella James is pursuing Health Services Administration degree from St. Petersburg College. She enjoys reading articles related to Health, Fitness, and Technology. She specializes in writing articles about Health, Fitness, Beauty and Skin Care. She also likes to share tips for creating the ultimate skin care regimen for a healthy complexion. Get connected with her on Facebook and Twitter. It is good to take iced coffee every morning during summer to avoid chances of developing xeroderma pigmentosa, a type of skin cancer that arises due to exposure to the sun rays. One more reason to love coffee!! I live in Arizona, USA, and skin cancer is really common here. Love the suggestions. Hydration and nutrition are two key components of health. If you don’t mind me adding (if possible) that organic fruit and NON GMO corn would be excellent choices to minimize placing additional environmental toxic stresses on the body during these warm summer months. Thank you for providing the community with this vital information. And for those of you who might have laughed at my cucumber eating, look at this article.